This year’s Winter X Games, starting on January 24 and ending January 27, will host the worlds most talented athletes, specifically athletes that specialize in action-oriented sports. 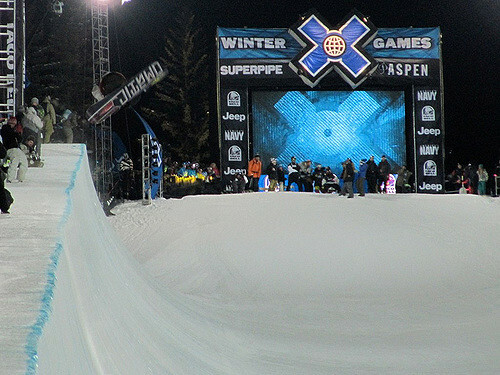 From moments of pure amazement to moments of nail-biting fear, the Winter X Games have it all. The event also offers athletes and audience members a live performance from Lil Wayne, Louis the Child, The Chainsmokers, and Kygo. The excitement for the games has reached its all-time high, as the events are just about to kick off. Some of that pre-game hype has reached West, and it got some students buzzing. Trufin isn’t the only one excited for the upcoming Winter X Games. Snowboarding enthusiast and junior Samir Ozaki waited the whole year for this event, and can’t wait for the games to begin. Snowboarder and sophomore William Thannert recommends watching the Winter X Games and believes that the popularity of the event should be higher. Some students are also hyped to watch the live musical performances. If you are not doing anything this week, sit back, relax, and live-stream the X-Games on YouTube.